Once again we’re back behind the scenes with The Addams Family musical at Canterbury Christ Church University, getting some more inside information on how the show is coming along now that the cast and crew are working on the production intensively. Next to be interviewed are some of our fantastic stage management team who have been working hard to keep everything running smoothly and to schedule ahead of opening night next week. I needed to get more experience working backstage. I love stage management so this gives me the experience on a large scale production that I want, alongside my job at The Marlowe Theatre as a crew member. Before I came to university I had no idea what I wanted to do. I loved performing and have been singing and dancing for years but it isn’t something I feel I can make a career from so I started to think about working backstage. Having studied stage management this year, I definitely want to work as either a deputy stage manager or an assistant stage manager. Getting to know everybody. Most of the time when you’re a performer you don’t get to see much of the production side. It’s great to be working backstage and seeing the show come together from a different angle. 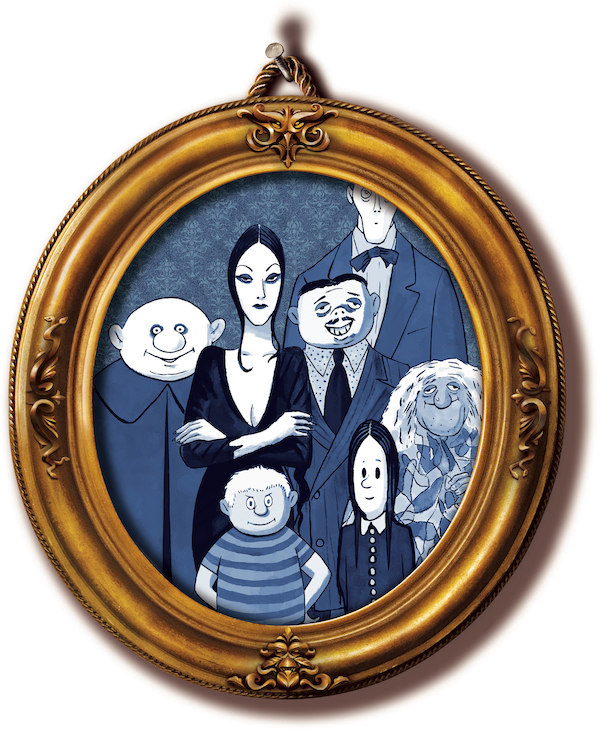 As soon as I heard it was The Addams Family I knew I wanted to be part of it as I love the show. I’ve never worked on the musical before and I’d heard from other people what a great experience it was. I’m hoping to do an MA in Arts & Cultural Management here at CCCU and then work my way up in the industry to be a company stage manager. The cast all work so hard and it’s great to see how far they’ve come, even in the last week. I have a great Stage Management team that I know I can count on as well which makes my job even better. The songs are amazing and the script is hilarious which makes rehearsals even better. Stage management was my favourite module this year at university. 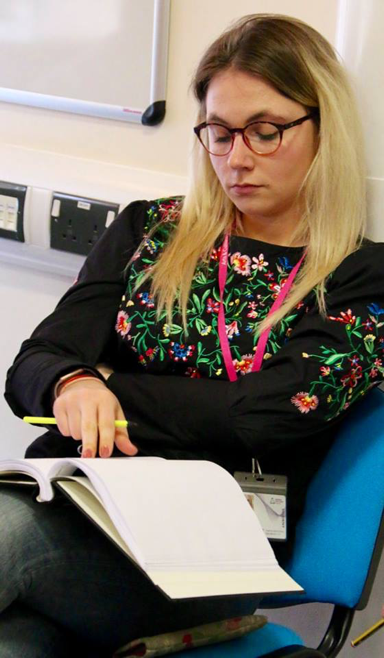 Whilst studying it I really found my passion within theatre and I now know that I want to pursue a career in it. 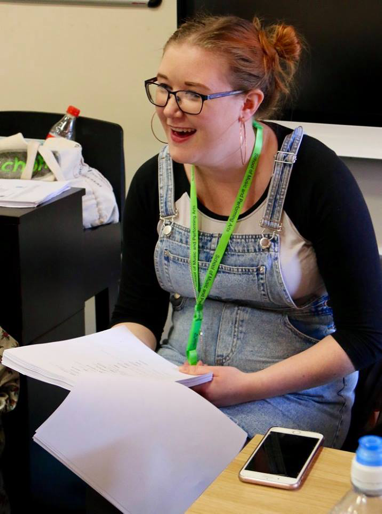 The other students are great and the atmosphere at this university gave me the courage to put myself forward for the production, a decision that I’m so glad I made. I definitely want to work backstage in theatre. I’m thinking about doing an MA in the USA in Stage Management as it has been my dream to study around the world for years. Originally, I am from Slovakia where there aren’t huge amounts of opportunities in culture and art, so I’d love to make a change and founder a company that creates opportunities for people in theatre there. The people as a collective are very hardworking and seeing huge amounts of progress daily is very rewarding. Jody, the company stage manager, is great. 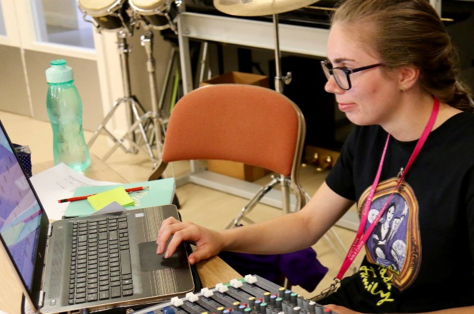 She’s very helpful and doesn’t mind taking the time to share knowledge with the other stage managers, making sure that we learn the most out of the experience. Many thanks to Charlotte, Jody and Dominika for their time.